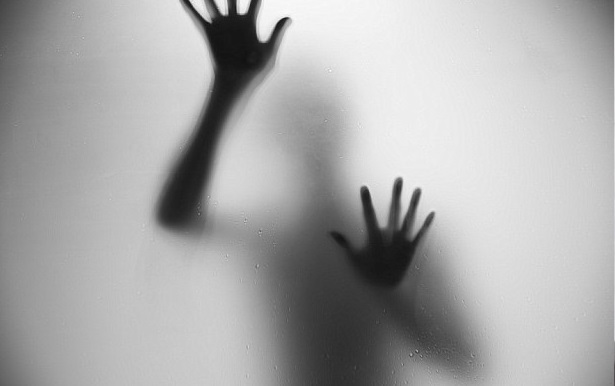 Welcome to the twenty-third installment of the Haunted Montreal Blog! Released on the 13th of every month, the March 2017 edition focuses on research we are carrying out into Montreal’s old General Hospital, now an allegedly haunted residence for the elderly. Haunted Montreal will begin offering public tours again in May, 2017. Haunted Montreal is also planning a special Jane’s Walk that examines paranormal activities in Chinatown. Hundreds of elderly people live in a large, ramshackle building that sits on the corner of René Lévesque Boulevard and Saint Dominique Streets. Once Montreal’s General Hospital, the building is now called the Paul-Émile-Léger CHSLD, a government-funded home for the elderly in the north-east corner of Montreal’s Chinatown. According to various sources, strange and possibly haunted activity is not uncommon in the establishment. Disturbing thoughts and visions seem to come out of nowhere. Some people report hallucinations. There are also sightings of a ghostly woman in an antique white dress and hat, not to mention a mysterious apparition who has been spotted sitting on the high rooftop, staring down at people on the street below. Could these hauntings be related to the old Montreal General Hospital, which operated on the site from 1822-1953, or might they derive from an abuse scandal that rocked the establishment during the 1990s, when it was called Saint-Charles-Borromée Hospital? The nephew visited his uncle every day and after a few weeks he began to notice strange behavior. It was as though his uncle was being evasive or trying to hide something. The man wasn’t sure if this was related to his mental deterioration or something else. However, the man’s uncle seemed to be getting more and more agitated by the day. He claimed that disturbing thoughts would enter his mind for no apparent reason. He complained that he would often have terrifying nightmares where an evil apparition instructed him to act in cruel ways. He mentioned that the woman in the antique white dress would often wake him up to help him calm him down. The nephew thought that his uncle was probably beginning to lose his grip on reality with his advanced age. Regardless, he inquired to staff members about a possible woman wearing an antique white dress. The staff claimed that there was no such person in the hospital at night and that it was just his uncle’s imagination running wild. Then one day something inexplicable happened. The nephew, being a curious fellow, was exploring the nooks and crannies of the hospital before visiting his uncle. Finding himself in an empty room, he was suddenly overwhelmed by a sweet, distinctive, penetrating odour. A cloud of fog began appearing to him and, as he inhaled, he began to hallucinate. The linoleum floor had somehow transformed into wood! Suddenly, he saw blood inexplicably pooling around his feet. As the smell got stronger, he tried to run away, but his foot slipped in the bloody pool and he fell to the ground. 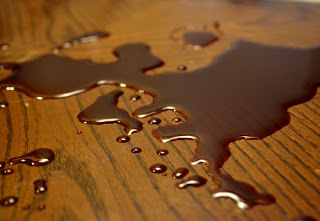 As he hit the floor in a panic, suddenly everything reverted back to normal – no blood pooling, no wooden floor and no weird odour. Two weeks later, in early 1993, his uncle left the hospital and moved into a private residence, where he seemed much happier and more at ease. The nephew was pleased with the move despite the additional costs because his uncle reverted back to his usual, more relaxed state of being. He had no more disturbing nightmares and the nephew had no more hallucinations. The mysterious woman in the antique white dress with the little hat was never mentioned again. The man may have gotten his uncle out of the Saint-Charles Borromé Hospital just in the nick of time. Before examining why, it is worthwhile to look at the history of the building. The Montreal General Hospital was probably one of the very few hospitals that was born out of bloodshed. During its planning stages in the early 1800s, there was a lot of animosity among stakeholders. Two gentlemen in particular, Dr. William Caldwell and Member of Parliament Michael O’Sullivan, were constantly at odds with each other. Dr. Caldwell was a Protestant and O’Sullivan a Catholic, two religions that were often in conflict. At the time, there was a bug-infested hospital on Craig Street that was unable to meet the needs of Montrealers and sick immigrants. Philanthropists like brewer John Molson stepped up to help fund the building of a new hospital. When authorities proposed staffing it with nurses instead of nuns, O’Sullivan actively opposed it in the legislature. He suggested the nurses would be too unprofessional compared with nuns and that medical students would be allowed to conduct experiments on the dead bodies of the patients. Dr. Caldwell was outraged, so wrote an anonymous letter criticizing O’Sullivan. 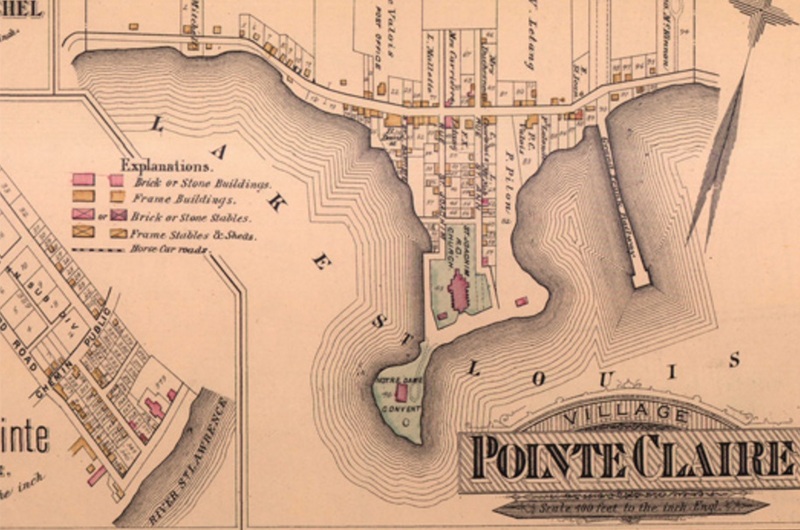 When O’Sullivan discovered who had written it, he challenged Dr. Caldwell to a duel in Pointe Claire, far away from prying eyes, as was the tradition during the era. 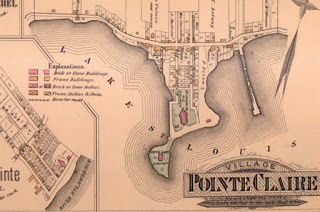 The location was Windmill Point, a 0.81-hectare spit of land graced with a windmill that projects into the St. Lawrence River. The two men met at sunrise on Saturday April 11, 1819. They stood twenty long paces apart with loaded pistols, as was the custom. When the signal was given, they fired their weapons at each other. After exchanging four shots of 28-gram lead balls and missing, O’Sullivan insisted on continuing. On the fifth round, both gentlemen were hit. Dr. Caldwell was hit in the right arm and O’Sullivan was shot in the right side of his chest, just missing his heart. The bullet lodged into his spine. Both men survived what may have been the longest duel in Montreal’s history. 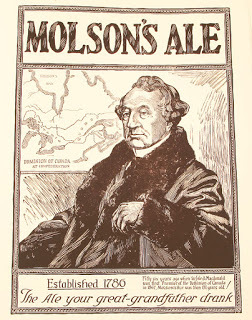 A decision was finally made to build the hospital on what was then Dorchester Street, today’s René Lévesque Boulevard. 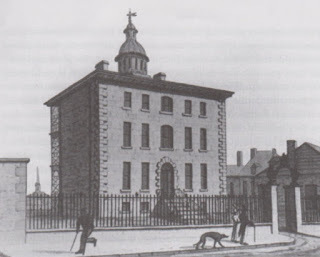 On June 6, 1821, the cornerstone of the new Montreal General Hospital was laid. Designed by architect Thomas Phillips, the hospital was built two stories high with an attic and a basement. Perched atop the roof was a cupola. It opened the following year on May 3, 1822. In the early days of its operation, the hospital had many problems like low wages, a high turnover rate and a lack of educated nurses. Medical treatments were often untested and toxic and surgery was very dangerous because of the constant threat of fatal infection. Only about 25 surgeries per year were performed at first due to the risk of death. Patients were also given a four to eight ounce bottle of whisky or brandy upon admission to help them relax, sometimes leading both patients and staff to get inebriated in the hospital. 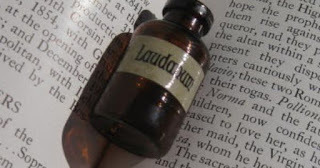 In one case, a blind man offered a hospital-mate his bottle of whiskey from his bedside, but mistakenly handed him a bottle of laudanum, a tincture of opium. After taking a deep swill, the man overdosed. He was dead within minutes. 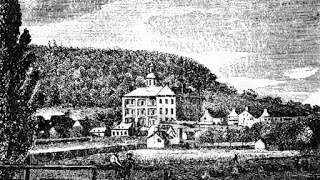 As the years passed, conditions began to improve and the hospital was enlarged several times. New wings were added, such as the Richardson Wing in 1868 and the Moreland Wing in 1875. In 1894, a separate Pathology Building was erected. 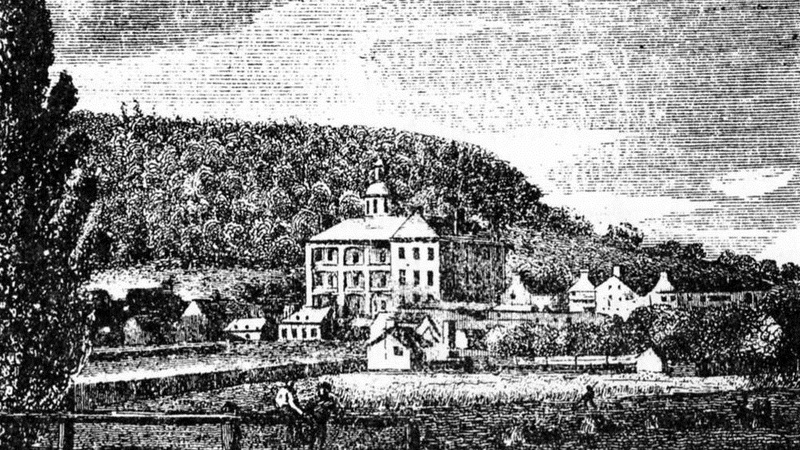 It was just behind the part of the hospital with the dome, which had been converted into a smallpox isolation tower. Many prominent medical personnel worked in the Montreal General Hospital over the years. Sir William Osler, who pioneered studies in Pathology, conducted autopsies on the patients who had succumbed to their illnesses or injuries. Wesley Bourne became world-famous after he pioneered techniques in anesthesiology at the hospital and introduced cocaine to patients. 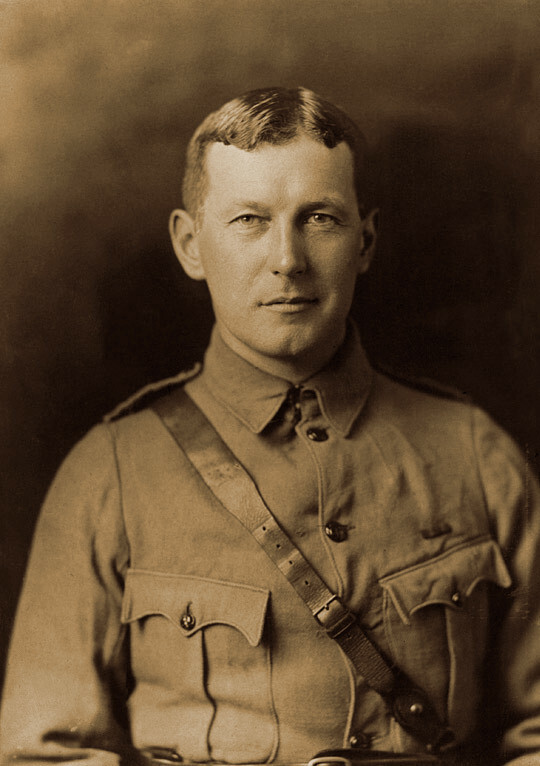 Sir Thomas George Roddick performed numerous amputations, while John McCrae, who would go on to pen In Flanders fields during World War I, worked as a physician at the Montreal General Hospital and published manuscripts about typhoid and inflammatory disease. 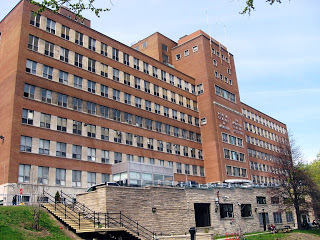 Despite being enlarged several times to a height of 9 floors, in the early 1950s a decision was made to relocate the hospital to a larger site on the western slope of Mount Royal. In 1956, patients were moved to the new hospital on Cedar Avenue, where it still exists today as a sprawling medical complex. 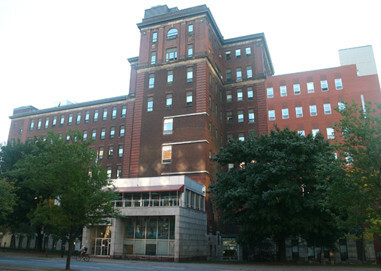 The old Montreal General Hospital was converted into a senior’s home. In 1968 it was transformed into the Saint-Charles-Borromée Hospital for long term care and adult rehabilitation. For decades the hospital operated without any major incidents, but in 1993, rumours began swirling that some of the patients at Saint-Charles-Borromée Hospital were being mistreated. Residents complained that some of staff members were being verbally and psychologically abusive towards them. 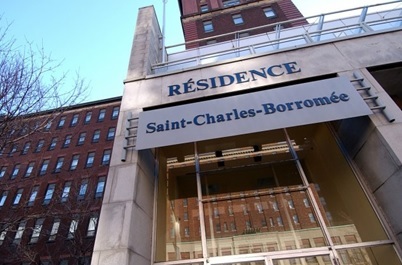 In 1999, a class action lawsuit detailing hundreds of cases of abuse was launched against Saint-Charles Borromée hospital. At first, the story was under the radar, but in 2003 family members of a patient there began secretly recording staff. They were able to verify ongoing verbal and psychological abuse against their relative. With this new evidence, the scandal exploded and the media began paying close attention. 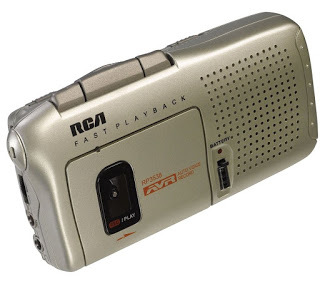 During 90 hours of taped recordings, evidence emerged of the staff mistreating their relative, a 51-year-old woman who was left severely disabled after a car accident when she was just 18 years old. They called her a “pig,” told her to “shut up” on a regular basis, refused to bring her water and teased the woman relentlessly by telling her a perverted man was fondling himself outside of her window. The tapes triggered then-health minister Philippe Couillard to call a provincial inquiry into the conditions inside Quebec’s nursing homes. On November 26, 2003, the embattled hospital director, Léon Lafleur, was found dead in a hotel room in St-Hyacinthe, 50 kilometers north-east of Montreal. He had committed suicide after writing a letter blaming the government for his situation. Following the inquiry, conditions improved and the building was re-named Centre d’hébergement Paul-Émile-Léger, perhaps in an effort to distance it from the scandal. 13 years after the launch of the lawsuit, the victims won $8.5 million. Returning to the uncle who had paranormal encounters in the hospital, it would appear that his nephew got him out mere weeks before the abuse started happening. Who could the ghostly woman in the white dress and hat be who warned him to leave? 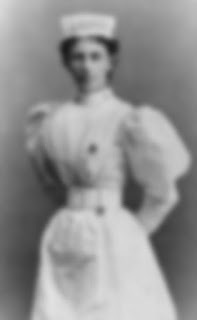 One theory is that she is the ghost of Nora Gertrude Elizabeth Livingston, an educated nurse from New York City. 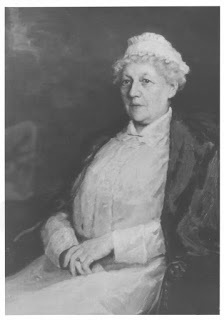 In 1890 she agreed to accept a post at the Montreal General Hospital if two conditions were met. She demanded that nurses would no longer have to do the housekeeping and that she could hire experienced personnel to open a school for Nursing. Her requests were granted. After promptly cleaning up the wards at and rearranging staff duties, Nora Livingston welcomed her first students on April 1, 1890. She was regarded as both strict and disciplined, but she took excellent care of her charges. While this helps shed light on who the ghostly woman might be, it does little to explain the nephew’s bizarre and bloody hallucination. One possible theory is related to the fact that the Montreal General Hospital was one of the first to embrace the field of modern pathology. 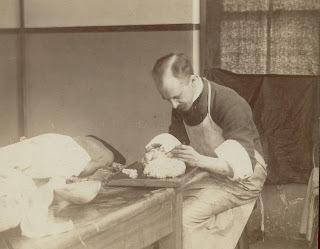 In order to try and learn more about diseases, pathologists conducted detailed examinations of the dead patients, including the dissection of the corpse. Dr. William Osler accepted the first Pathology position at the hospital in 1876. The autopsy room was a small, dingy chamber in the basement with a wooden autopsy table. Dr. Osler worked tirelessly in the dimly-lit room, which was lit by an oil lamp. Patients on the floors above often complained about the foul stench that emanated from this terrifying chamber. Remarkably, Dr. Osler conducted a total of 780 autopsies during his first 10 years at the Montreal General Hospital. Concerning the strange smell the nephew encountered, it may have been phenol, which was introduced as an antiseptic during the 1870s by Dr. Roddick. Previously, the first operating room was located under the hospital’s cupola. It had a wooden floor and operating table that were encrusted with dried blood that was rarely scrubbed clean. Doctors usually wore old frock coats, which would become soaked with blood during surgeries and autopsies. At first, no attempts were made to sterilize the operating room, autopsy room or instruments. Dr. Roddick introduced phenol (carbolic acid) as a disinfectant in the operating room in the form of a cloud of gas. A gallon tank of water was heated with an alcohol flame and a bottle of phenol was attached to the system. The machine would create a cloud of antiseptic fog during surgeries. 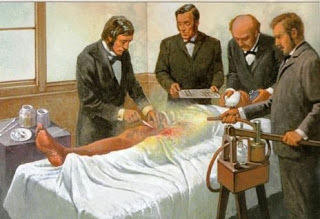 The powerful technique saw the mortality rate from his amputations drop from 80% to less than 4%. Concerning the hallucination, with the appearance of the otherworldly phenol fog and pool of blood, could the nephew have stumbled across some sort of paranormal autopsy or surgery? Finally, in the autumn of 2016, the establishment was visited by a medium who immediately picked up signs that the building was haunted. Upon closer examination, she noticed the ghost of a man perched high atop the roof, staring down at the people on the street below. The medium was unable to describe him in detail. Who he is and why he sits on the roof are questions that still remain unanswered at the time of this writing. While the uncle would pass away peacefully a decade later, his nephew would never forget the strange experiences he had in the old Montreal General Hospital, which left a lasting impression on him. Today, it is unknown if these hauntings continue at what is now the Paul-Émile-Léger CHSLD. Haunted Montreal is now in winter mode, meaning there will be no more public tours until May, 2017. Private tours are still available for groups of 10 or more people, subject to the availability of our actors and weather conditions. As we approach the ghost tour season, We are pleased to announce that we are upgrading our website and blog to make them more manageable and user-friendly. We are also planning a Jane’s Walk called Haunted Chinatown, which will explore some of the hauntings and mysteries in Montreal’s historic Chinatown neighborhood. This walk will be offered in early May and will be free to attend for those who reserve spots. Lastly, we are pleased to announce some good news for St. Patrick’s Day. Donovan King, founder of Haunted Montreal, has created a new company called Irish Montreal Excursions, which leads visits to Irish sites of interest in the city of Montreal and beyond. 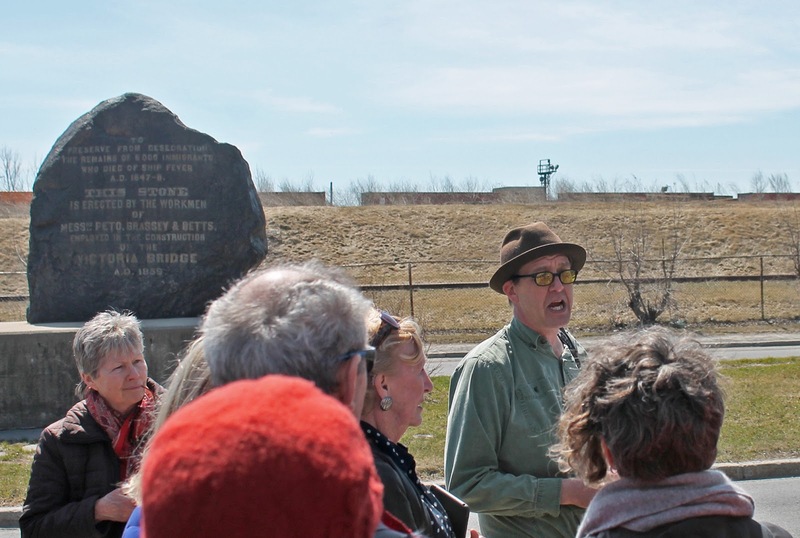 This walking tour explores the impact of the Irish Famine on Montreal in 1847. 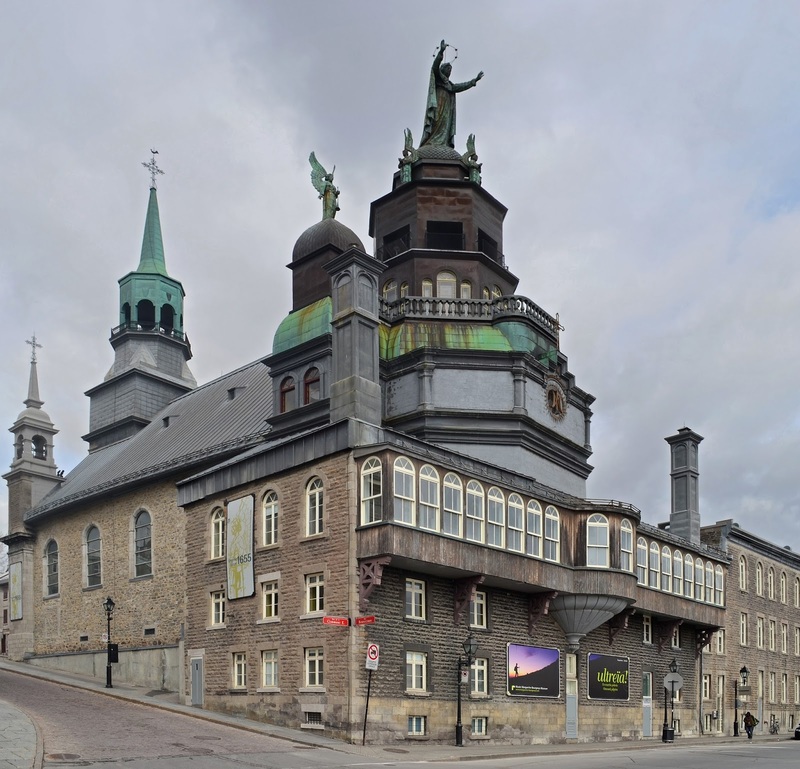 This excursion visits Montreal Famine sites, including forgotten cemeteries, religious institutions, the Lachine Canal, the ruins of a church and Montreal’s infamous Black Rock. To be revealed: plans by the Irish Monument Park Foundation to rescue a Famine cemetery from industrial forces. and ends at the Black Rock on Bridge Street. This walking tour, which starts at the Old Dublin Pub, explores the history of the Irish in Montreal. This excursion visits historic Montreal Irish sites, including churches, watering holes, the ruins of a refuge and forgotten areas such as Little Dublin and Paper Hill. To be revealed: the Bloomsday connection between James Joyce’s Ulysses and Montreal! 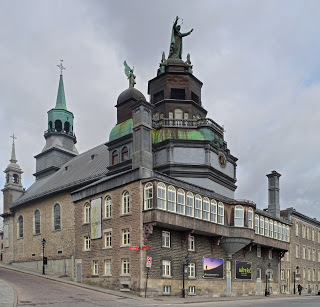 Where: This excursion starts in front of Old Dublin Pub (636 Cathcart Street) and ends at Notre-Dame-de-Bonsecours Church (400 St Paul Street E.). Irish Montreal Excursions is planning to develop other excursions in the future, such as Irish pub crawls, sporting events, cemetery visits and bus tours to Irish sites outside of Montreal. We will also be announcing another surprise in next month’s newsletter! Believe it or not, Montreal is rumoured to be home to at least two invisible pets, a cat and a dog. In the early 1970s, Brian and Louise Grey and their four children experienced an invisible cat in their Montreal home. 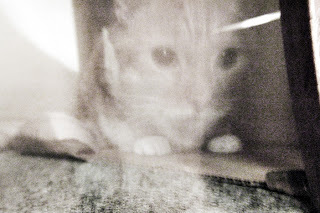 Remarkably, the cat could be heard and felt, but it was never seen. In another story, a young boy in the Montreal suburb of Roxboro adopted what his parents assumed was an imaginary friend, who the boy called “Duke.” The boy would get upset if his parents tried to sit on the couch when “Duke” was there. The parents humored him at first, chalking it up to an overactive imagination. However, they got the shock of their lives when a neighbor informed them that the previous owner had died in a house fire along with her pet dog. The dead dog’s name was “Duke.” There is no dispute that invisible pets feature prominently in Montreal’s haunted folklore. The only question is why? Montréal, aujourd’hui une résidence pour personnes âgées supposément hantée. également une Jane’s Walk sur l’activité paranormale dans le quartier chinois. bâtiment délabré qui sied à l’angle des rues René-Lévesque et Saint-Dominique. nord-est du quartier chinois de Montréal. assise sur le toit élevé, regardant les gens sur la rue en bas. au cours des année 1990 quand c’était encore l’hôpital Saint-Charles-Borromée ? dans un établissement de soins de longue durée, sans qu’il s’en plaignît. mentale ou à autre chose. épaules et n’en disait rien, ce qui n’était pas comme lui, plus jeune. commençait peut-être à perdre son sens de la réalité à son âge avancée. Puis un jour quelque chose d’inexplicable se produisit. inexplicablement, il vit du sang s’épancher autour de ses pieds. l’hôpital pour un résidence privée, là où il sembla plus heureux et à l’aise. robe ancienne et au chapeau blancs n’a plus jamais été mentionnée. savoir plus sur l’histoire du bâtiment. premier à subventionner le nouvel hôpital. infirmières à la place des soeurs, O’Sullivan opposa fermement la législature. soeurs, et que les étudiants en médecine auraient le droit de mener des expériments sur les patients morts. 0.81 hectare sur lequel un moulin donne sur le fleuve Saint-Laurent. qui a peut-être été le plus long duel de l’histoire de Montréal. 1821, la pierre angulaire du nouvel hôpital général de Montréal fut posée. l’année suivante, le 3 mai 1822.
la chirurgie très dangereuse à cause d’une menace constante d’injection létale. qui avait été convertie en tour d’isolement pour les variolés. le scandal explosa et les médias y prêtèrent plus d’attention. conditions de vie à l’intérieur des maisons de retraite du Québec. lettre blâmant le gouvernement pour sa situation. d’hébergement Paul-Émile-Léger, peut-être pour se distancier du scandal. 13 ans après le lancement de la poursuite, les victimes ont remporté 8,5 millions de dollars. chapeau blancs qui l’avertit de partir ? Livingston, une infirmière éduquée de New York. stricte et disciplinée, mais elle prit grand soin de ses effectifs. premiers à explorer le champ de la pathologie moderne. morts, impliquant la dissection du corps. oeuvra sans relâche dans cette salle sombre, illuminée par une lampe à huile. total de 780 autopsies durant sa première décennie à l’hôpital. ç’avait peut-être été du phénol, introduit comme antiseptique au cours des 1870 par le Dr. Roddick. phénol (l’acide phénique) en tant que désinfectant sous forme de nuage gazeux. mortelles de 80% à moins de 4 %. tombé sur quelque chirurgie ou autopsie paranormale ? réponse au moment où s’écrivent ces lignes. Montréal hanté est en mode hivernal : il n’y aura donc plus de visites publiques avant mai 2017. Les visites privées sont toujours disponibles pour des groupes de 10 personnes et plus, selon la disponibilité des acteurs et les conditions météo. À l’approche de la saison des visites hantées, nous sommes ravis de vous annoncer que notre site et blogue seront mis à jour afin de les rendre plus maniables et conviviaux. Nous planifions aussi un Promenade de Jane (an anglais) nommé le Quartier chinois hanté, explorant certains des sites et les mystères paranormaux de ce quartier historique de Montréal. Cette visite, gratuite pour ceux qui réservent leurs billets, sera offerte en début mai. Enfin, nous sommes contents d’annoncer une bonne nouvelle pour la Saint-Patrick ! Donovan King, fondateur de Montréal hanté, a créé une nouvelle compagnie nommée les Excursions du Montréal irlandais (Irish Montreal Excursions), et fera visiter des sites d’intérêt dans la ville de Montréal et plus loin. Le circuit de la Grande Famine d’Irlande à Montréal (en anglais). Quand : samedi le 18 mars à 9h00 (120 minutes). Où : L’excursion débute devant le musée Pointe à Callière (350 Place Royale) et finit à la Roche noire sur la rue Bridge. Cette visite, dont le départ se fait devant le Old Dublin Pub, explore l’histoire des Irlandais à Montréal. L’excursion explore les sites historiques irlandais de Montréal, incluant les églises, les bars, les ruines d’un refuge, et des endroits oubliés comme le Little Dublin et Paper Hill. À venir : la connexion Bloomsday entre l’Ulysse de James Joyce et Montréal ! Quand : dimanche le 26 mars à 13h00 (120 minutes). Où : L’excursion débute devant le Old Dublin Pub (636 Cathcart Street) et finit à l’église Notre-Dame-de-Bonsecours (400 rue Saint Paul Est). Les Excusions du Montréal irlandais planifie de développer d’autres excursions à l’avenir, comme la tournée des bars, les événements sportifs, la visite des cimetières et les visites en autocar à de tels sites, hors de Montréal. Également, nous annoncerons une autre surprise dans le bulletin du mois prochain ! De plus, un gros merci à tous nos clients qui ont participé aux visites de Montréal hanté au cours de la saison 2016 ! Si vous avez aimé l’expérience, nous vous invitons à écrire une critique sur notre page Tripadvisor, quelque chose qui aide Montréal hanté à vendre ses visites. En somme, si vous voulez recevoir le blogue de Montréal hanté les 13 de chaque mois, n’hésitez pas à vous inscrire sur notre liste d’envoi. va sans dire que les animaux domestiques invisibles sont une partie intégrante du folklore hanté de Montréal. Seulement une question nous hante : pourquoi ? Donovan King est un historien, enseignant et acteur professionnel. En tant que fondateur de Montréal hanté, il unit ses talents pour trouver les meilleures histoires de fantômes montréalais, et les livrer par l’écriture et le jeu d’acteur. King déteint un DEC (Interprétation, Collège John Abbot), BFA (Drama-in-Education, Concordia), B.Ed (Histoire et Enseignement de l’anglais, McGill) et une MFA (Études théâtrales, Université de Calgary). Il étudie actuellement pour obtenir une AEC (Guide touristique de Montréal, Institut de tourisme et d’hôtellerie du Québec).